Premium quality white cotton with delicate embroidered pink rose design. Suitable for hanging adult clothing. Great for dresses, tops, lingerie etc. 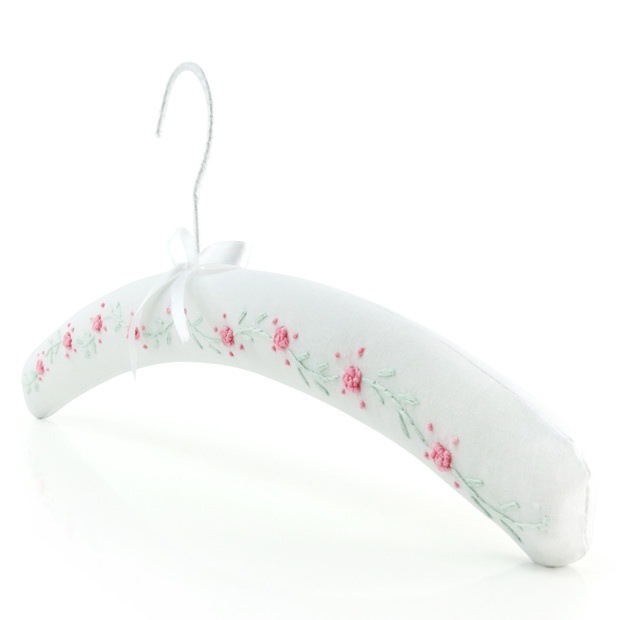 Hanger hook covered in white satin. Pretty central bow in white satin. Lovely gift - Presented in a sealed Hangerworld clear polythene pack. Size: Width 40cm (15.7") approx.